In the mid-nineteenth century, new print technologies and reduced taxation prompted a boom in print publishing. Publishers turned their attention to expanding markets of female readers; new ladies’ magazines like the Ladies’ Treasury (1858), Le Follet (1846), and The Queen (1861) kept readers up to date on the latest Parisian fashions, shopping advice, and culinary recipes. [ii] Correspondence columns became a regular feature in many of the publications. 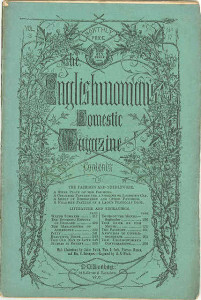 Most notably, readers of The Englishwoman’s Domestic Magazine (produced by Isabella and Samuel Beeton of Mrs. Beeton fame) submitted personal queries to the “Englishwoman’s Conversazione,” which tackled rules of etiquette, fashion trends, but also questions about health and the body. 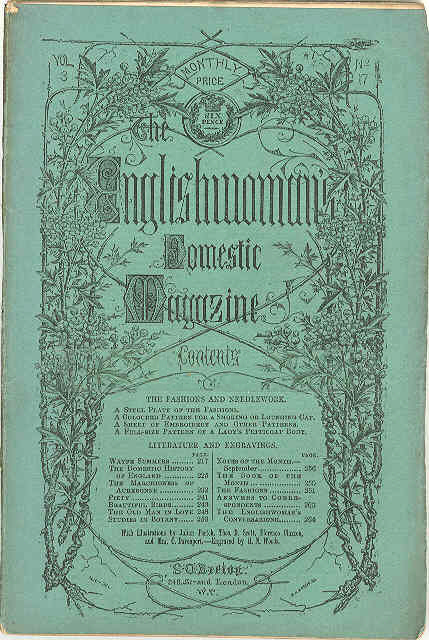 Title Page of “The Englishwoman’s Domestic Magazine,” September 1861. Source credit: Wikimedia Commons. A survey of the “Englishwoman’s Conversazione” through the 1860s reveals frank admissions of highly personal aesthetic concerns. In one column from 1868, for example, readers inquired “how to cure little pimples on the forehead and chin” or for advice on stimulating hair growth after developing “two large places on the head [that were] perfectly bare” from wearing false hair. Such unsightly problems seem trivial when compared to the “50 small warts” on the back of one reader’s hand or the “natural fleshy enlargement” on the chest of another, a point of “great annoyance” for her. While brief, the letters betray correspondents’ intense desire to solve aesthetic dilemmas, with contributors promising gratitude or perhaps “a very good recipe for the cure of corns” in exchange for assistance. Respondents were quick to heed the call of their fellow readers, and remedies appeared in subsequent editions of the “Conversazione.” These responses reveal fascinating processes in nineteenth-century home production, as women manipulated dyes, powders, and ointments. Readers suggested compounds often replete with chemicals, like one mixture for homemade colorant that depended on sulfur. Another reader suggested as a cure for chilblains “[h]ydrochloric acid, diluted, ¼ ounce; hydrocyanic acid, diluted, 30 drops; camphor-water, 6 ounces,” before warning “it is a deadly poison, and should be kept under lock and key” – except, of course, when applying it to the body! “Mrs. 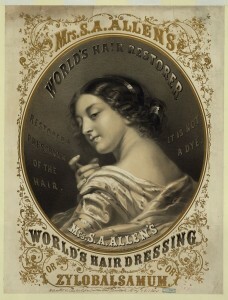 S.A. Allen’s World’s Hair Dressing or Zylobalsamum,” 29 May 1860. Source credit: Library of Congress Prints and Photographs Division. But this exchange did not only apply to homemade beauty concoctions. From the mid-nineteenth century, Britons increasingly depended on manufactured goods, including beauty and grooming products. By the 1860s, the “Conversazione” assisted readers in navigating this new commercial scene, allowing readers to debate the efficacy and, more importantly, the safety of widely available products. For example, the column featured a series of letters from March 1868 on “Mrs. Allen’s World’s Hair Restorer,” an American commercial hair wash distributed by local wholesalers. Hearing that the product caused itchy, red scalps in two acquaintances, a female correspondent turned to readers of the “…invaluable Conversazione, which so often helps us out of difficulties.” Her letter set off a chain of responses over the coming months. Respondents warned that “Mrs. Allen’s Dressing” contained hazardous amounts of mercury, eventually prompting a defensive response from London agent John M. Richards, who asserted the “natural” makeup of the product. Reader responses followed both refuting and supporting the charge of mercury, accompanied by correspondents’ proven personal recipes for hair-restorers. In this Victorian precursor to “customer reviews,” readers placed their trust in the textual community in an effort to recreate the traditional exchange of advice among female intimates. Their efforts bore fruit; they elicited responses that exposed the dangerous chemical makeup of manufactured beauty products, all while soliciting tried-and-tested alternatives from readers’ own recipe collections. This post cites letters published in the “Englishwoman’s Conversazione” between November 1862 and October 1870. The EDM is available via Gale’s 19th Century UK Periodicals. [i] On “imagined communities,” see Benedict Anderson, Imagined Communities; Reflections on the Origin and Spread of Nationalism (London: Verso, 1991) and Margaret Beetham, “Periodicals and the New Media: women and imagined communities,” Women’s Studies International Forum 29.3 (2006): 231-240. 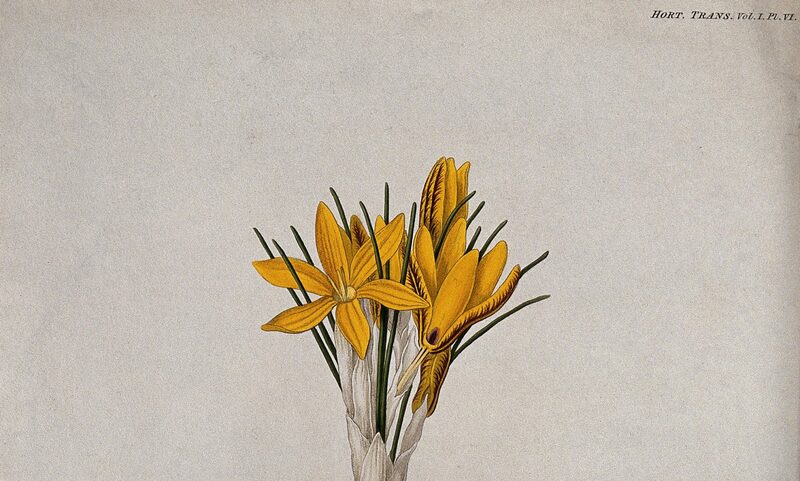 [ii] For more on women’s magazines, see, for example, Margaret Beetham, A Magazine of her Own? : Domesticity and Desire in the Woman’s Magazine, 1800-1914 (London: Routledge, 1996); Margaret Beetham and Kay Boardman, eds., Victorian Women’s Magazines: an Anthology (Manchester: Manchester University Press, 2001; and Hilary Fraser, Stephanie Green, and Judith Johnston, Gender and the Victorian Periodical (London: Cambridge University Press, 2003. [iii] Samuel Beeton eventually complied toilette recipes in his Beeton’s Domestic Recipe Book (London: Ward, Lock, and Co., 1871) 65-78.